Looking for a new approach to the Bible? Features include a Bible reading plan, four-color maps, a topical concordance, and a presentation page. The uncluttered, two-column format and the large text in 10.32 point font size make for easy reading. 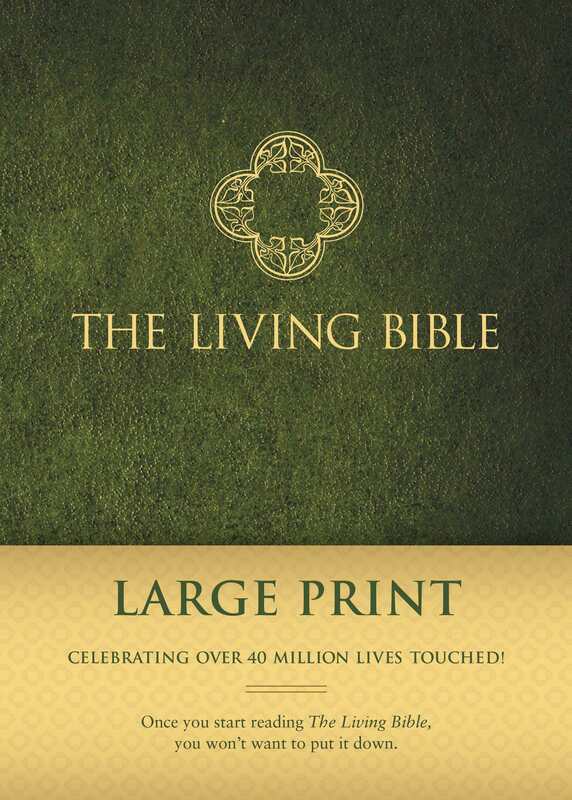 The Living Bible Large Print by Tyndale House was published by Tyndale House in May 2013 and is our 7609th best seller. The ISBN for The Living Bible Large Print is 9781414378572. This arrived in good time and has a nice font size to read. The print is very clear. Got a question? No problem! 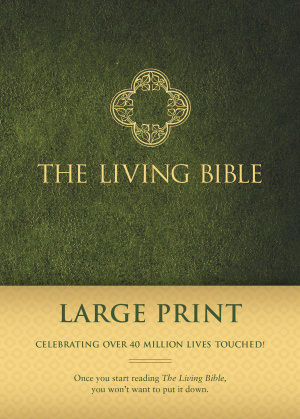 Just click here to ask us about The Living Bible Large Print . Can you tell me what size font is the Living Bible Large Print edition? Ideally I'm looking for at least 14pt. Many thanks.